Kids think eating fruit and veggies on a stick is fun, especially when they make it themselves! Kids can use their favorite foods in a colorful variety. Bamboo skewers work well and can be soaked in water for an hour before grilling or roasting. Kids can make Rainbow Fruit Kabobs by washing, pealing, and cutting their favorite organic fruits like, grapes, blueberries, kiwis, pineapple, nectarines, and raspberries. 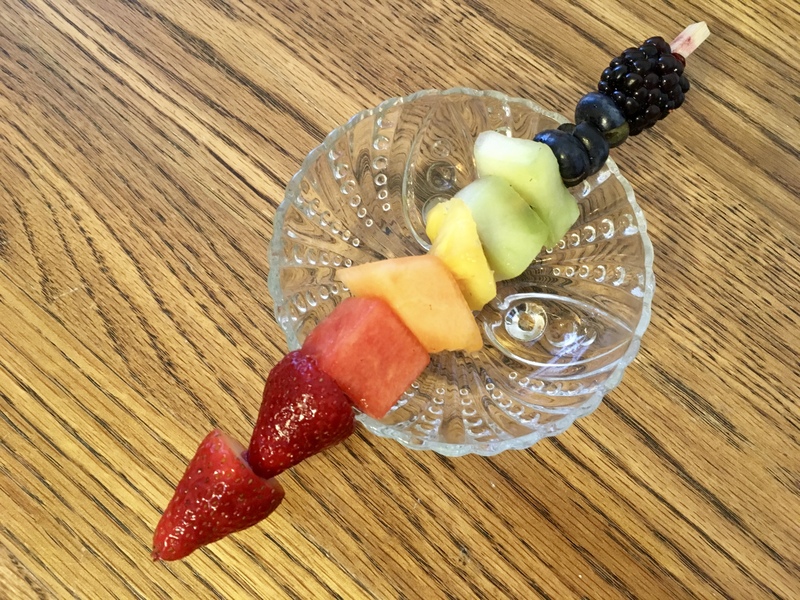 Kids can thread 2 or 3 of each kind of fruit on the bamboo skewer and create a yummy rainbow. Or kids can choose their favorite organic tropical fruits or organic melons. Kids can also dip slices of organic banana in melted chocolate, roll in a bowl of chopped nuts, and put in the freezer for 15 minutes before threading them on a skewer. Kids can chop organic veggies, like bell pepper, cauliflower, and broccoli. And put them in a bowl with 2 tbsp organic extra virgin olive oil, 1 tsp fresh lemon juice, and ¼ tsp sea salt. Add to the bowl pearl onions, crimini mushrooms, and cherry tomatoes. Preheat the oven to 400°. Let the veggies marinade 10 – 15 minutes. Line a baking sheet with parchment paper, put the skewered veggies on the baking sheet, and roast 20 minutes. Kids blossom in the Community Garden, where various garden projects help kids to learn where their food comes from and to develop healthy eating habits. Community Gardens are springing up across the country, where kids can experience the miracle of life by growing their own delicious organic food. 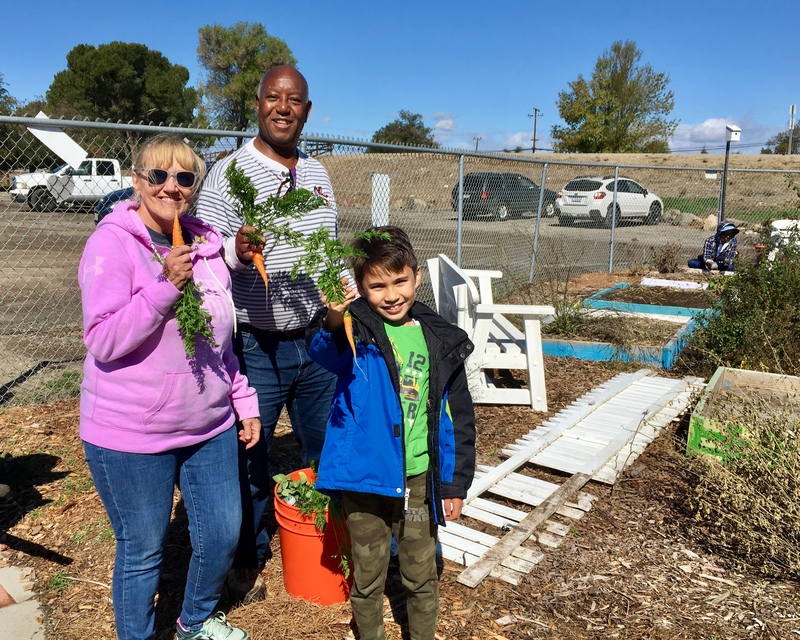 In the picture above, garden neighbors, Ann and Jimmy, harvested abundant carrots and shared with 8 year old Jonathan, who has been growing veggies in the Community Garden for five years. Jonathan immediately ate his carrot! Gardening gives kids a sense of responsibility and pride, being able to produce quality food and share with others. Local Community Gardens are outdoor classrooms, where kids can learn history, science, and math with practical applications, as they taste, touch, and ingest the lessons. Pointing kids to the joys of growing and cooking their own food instills positive eating habits, leadership skills, and better attitudes. Community gardening improves the quality of life, not only producing delicious organic food, but regular exercise and neighborly good will. Gardening is great exercise and kids enjoy it. They like picking and eating fresh organic fruits and veggies while standing in the garden. Kids also like to help the other gardeners in their community. As kids help long time gardeners, they learn which is the best variety of organic heirloom seeds for their climate and how to grow the veggies they planted. Community gardens improve the environment in their area with the organic practices of erosion control, conservation of biodiversity, increased organic compost, and carbon sequestration. A 10’ x 20’ plot can feed a family top quality organic produce with surplus to share at a fraction of the cost of buying them at the store. Eating fresh fruits and vegetables is the number one habit for healthy living. Growing food in a community garden, kids can put food on the table, improve their health, improve their environment and boost their morale. Kids can make a tasty nutrient dense snack with organic almond butter. Almond butter is rich in healthy fats, antioxidants, and protein. Oats have the highest percentage of protein and fiber of any grain. Organic dried cherries are rich in antioxidants, fight inflammations, and relieve stress. The cocoa bean is rich in fiber, carbohydrates, minerals, antioxidants, and flavonoids. This cookie is a powerhouse of fortifying energy. Preheat the oven to 350°. In a large bowl, using a fork, cream 8 tbsp soft organic vegan butter and ½ cup organic cane sugar. Add 1 tsp organic maple syrup, and 1 tsp vanilla. 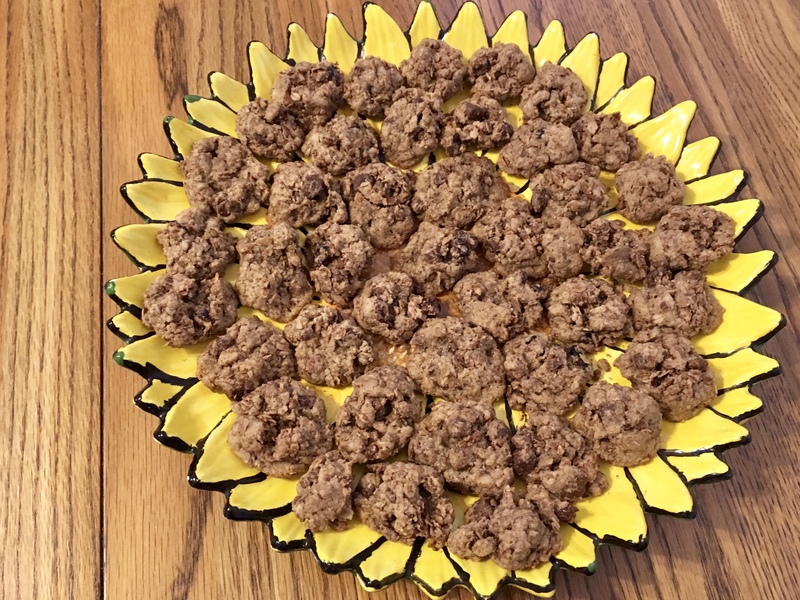 Mix in 1 cup organic old fashioned rolled oats, 1 cup organic whole wheat pastry flour, 1 tsp arrowroot starch, ½ tsp baking soda, ¼ tsp baking powder, and 2 tbsp cacoa powder. Add ¼ cup organic dried cherries, ¼ cup organic chocolate chips, ½ tsp cinnamon, and ¼ tsp sea salt. Blend in ¼ cup organic almond butter and mix well with a fork. Line a cookie sheet with parchment paper and use a teaspoon to spoon on the cookies. Bake for 10 minutes and let cool ½ hour. Kids can freeze these cookies for energy boosters at any time. Kids can start their day with a healthy, satisfying bowl of oatmeal and end their day with a cherry cobbler. Oats have the highest percentage of protein and fiber of any grain. Heart healthy oats can help control blood pressure and cholesterol and keep blood vessels healthy. Kids that eat oatmeal for breakfast have more brain power and energy to meet the day. Oats contain a soluble fiber called beta-glucan, which forms a gel-like substance that binds cholesterol in the intestines, prevents it from being absorbed, and aids in its removal from the body. Kids can kick start their metabolism and add antioxidant rich berries to their morning oatmeal to fight free radicals, lower the buildup of plaque in the arteries, and lower the risk of infections, such as colds and flu. Oats are a fiber rich food that bulk up waste to help it through the gut. The fiber in oats is digested slowly keeping kids feeling full and their blood sugar levels steady. 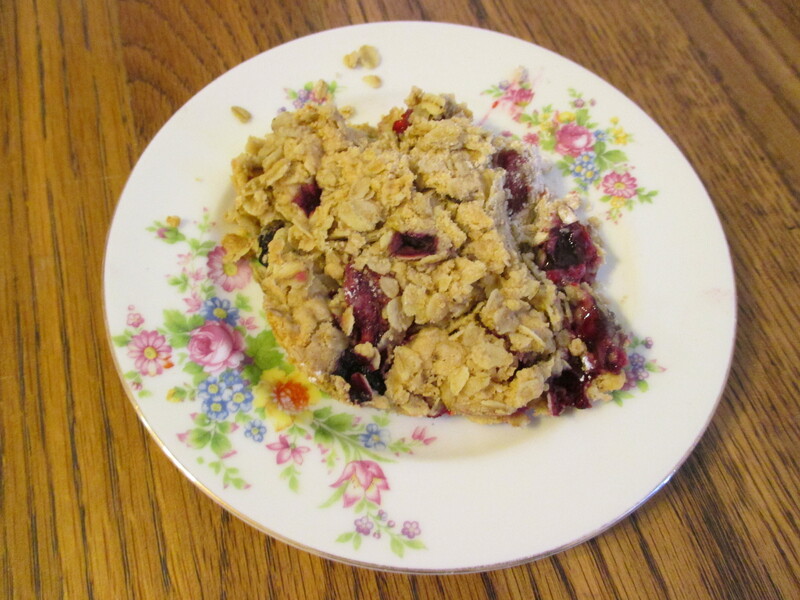 Kids can bake breads and yummy desserts with oats, like oatmeal cookies, granola bars, apple crisp, and berry cobbler. Oats aid digestion and are good for bones and connective tissues. Oats are also antimicrobial, fighting bacteria, viruses, and fungal infections. Oats mixed with whole wheat bread crumbs, cumin, sea salt, and organic extra virgin olive oil make a great topping for casseroles. Planting seeds in the spring is exciting! Kids can create a speciality garden in a raised bed filled with rich organic soil and compost. Kids can choose their favorite recipes, plant the ingredients, and harvest salsa, salad, or pickles. Kids can use organic heirloom seeds for flavor and diversity. As soon as nights stay above 50 – 55 degrees, kids can plant an Organic Salsa Garden in their raised bed. By checking seed catalogs, the local seed bank, and nurseries, kids can choose their favorite organic seed variety for their climate and plant tomatoes, red bell pepper, chili pepper, basil, and cilantro seeds. The garden benefits by the interconnectedness of different plants, as some plants grow better when they are planted together. Herbs make great companion plants, improving the growing conditions of the plants, attracting beneficial insects, like honeybees, butterflies, and ladybugs, and repelling pests, like aphids. Diversifying the crops creates a synergy of living things in the garden as the plants interact with soil, sun, air, water, microbial organisms, insects, birds, critters, and humans. An Organic Salad Garden is another speciality garden kids can create and plant cucumbers, lettuce, radish, dill, zucchini, and green bean seeds. 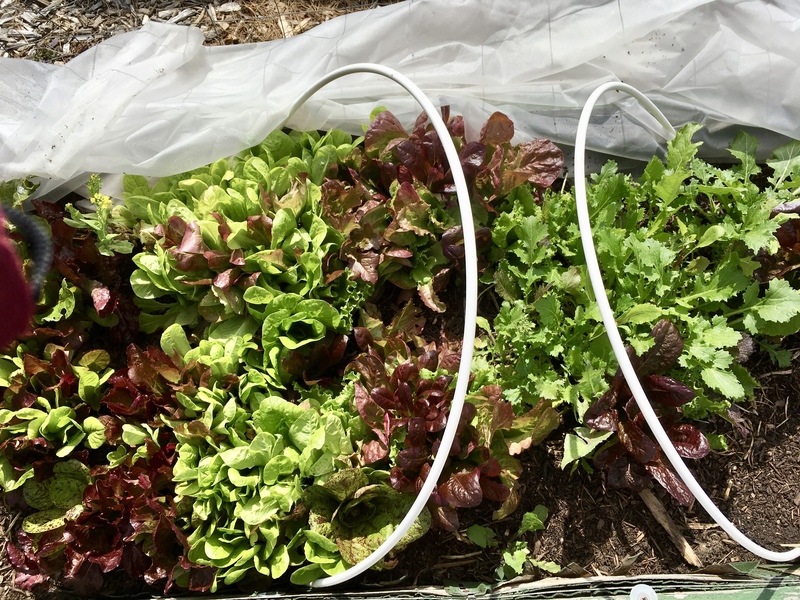 Kids can keep a constant supply of lettuce coming by succession planting. Every few weeks, kids can plant salad green seeds to fill the holes left by harvesting plants. Rotating crops creates healthy soil and discourages diseases and pests. So in successive years, kids can plant a different speciality garden, like an Organic Pickling Garden in their raised bed with beets, carrots, cucumber, dill, onion, and pepper seeds. Chemical fertilizers injure the microbial life that sustains the healthy growth of the vegetables, lessens the nutrients, and drives up the salt index. Every cubic inch of healthy soil is a miniature world of beneficial living organisms and so kids should not till the soil and injure the microbes in their raised bed garden. Microbes break down the organic material in the soil into useable food and nutrients for the plant. Kids can encourage microbial life, like bacteria, microbes, and fungi, in the soil by continually adding compost and harvest the best tasting veggies and herbs for their salsa, salads, and pickles. 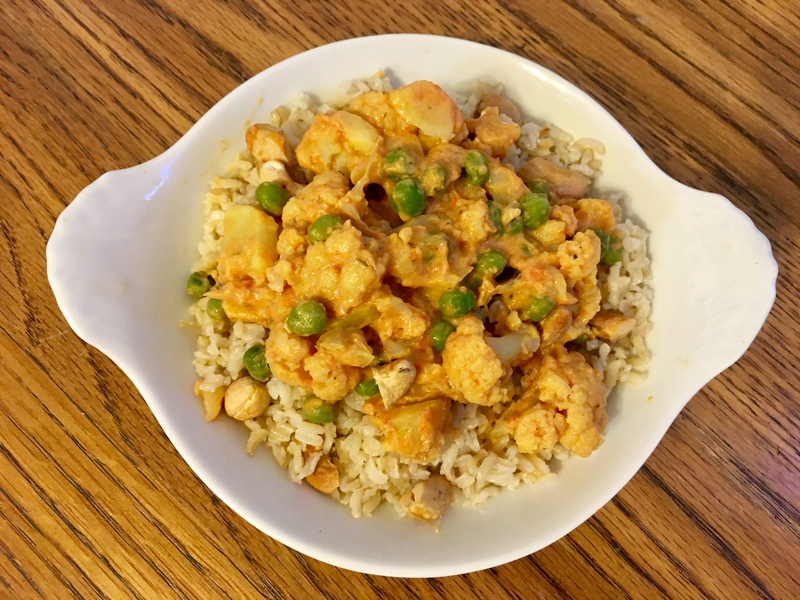 Kids can make yummy Indian dish with organic cauliflower, potato, peas and a tasty tomato sauce, served over brown rice. Masala is any of a number of spice mixtures ground into a paste or powder for use in Indian cooking. This healthy mix of veggies is full of energy for active kids. 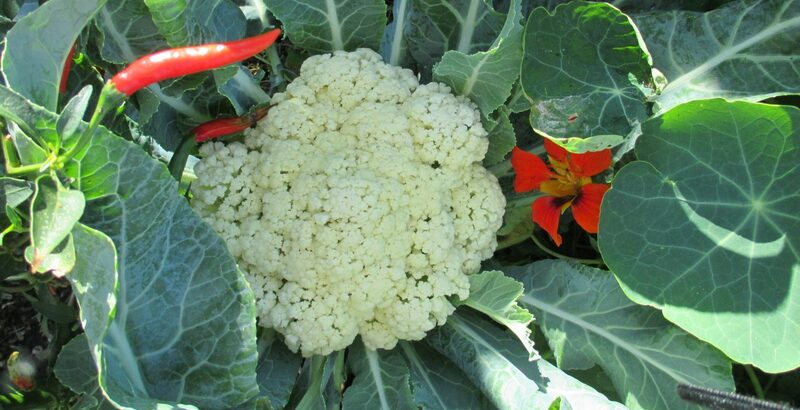 Cauliflower contains antioxidants, fiber, and protein; potatoes contain vitamin C, fiber, and iron; and peas contain protein, fiber, and vitamin A. Kids can put ½ cup organic basmati rice in a pot with 1 ¼ cup water and 1 tbsp organic extra virgin coconut oil. Bring to a boil, reduce heat, and simmer for 50 minutes. Preheat the oven to 350°. Toast ¼ cup organic cashew nuts for 10 minutes. Chop the cashews and add to the rice. Kids can steam to fork tenderness 2 cups chopped organic cauliflower, 1 chopped organic potato, ½ cup of organic peas, 1 minced organic garlic clove, and 1 minced organic deseeded red chili, about 18 minutes. In a sauce pan, mix and heat ½ cup organic tomato sauce, ¼ cup organic coconut yogurt, ½ tsp fresh lemon juice, ½ tsp sea salt, ½ tsp curry power and ⅛ tsp ground ginger. Pour the steamed veggies in a bowl and mix the sauce with the veggies. Spoon the veggies over the organic brown basmati rice to serve. Calming foods can promote the restful sleep kids need for good health and wellbeing. Kids can eat foods at night with natural sources of melatonin, a hormone that encourages sleep, and tryptophan, an essential amino acid that converts to melatonin to help the body relax. Melatonin is responsible for regulating the circadian rhythms, which influence the 24 hour sleep and wake cycles. Foods with natural sources of melatonin are: tart cherries, cherry juice, chilies, fenugreek, corn, rice, sprouted seeds, and tomatoes. Tryptophan also boosts the production of calming serotonin, a neurotransmitter, in the body and has a natural sedative effect. Foods with natural sources of tryptophan are: yogurt, bananas, chickpeas, pineapple, tofu, nuts and seeds. 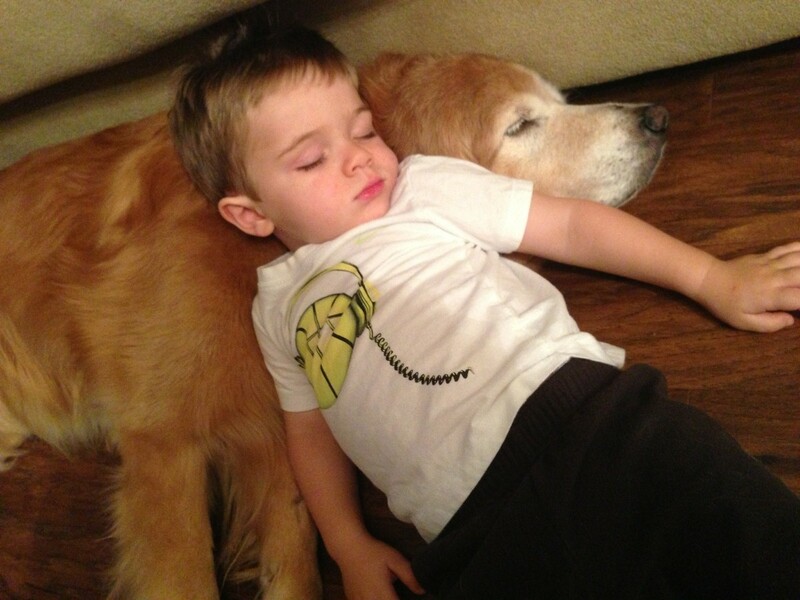 Kids find that daily exercise, like gardening or sports, promotes a restful sleep. Getting that restful sleep is also one of the most important factors for good oral health, helping to reduce inflammation and accelerate healing in the mouth. The entire body gets recharged during sleep. Kids can make three different evening drinks to promote a good night sleep. Kids can drink a relaxing bedtime glass of cherry juice, which contains melatonin and antioxidants. Walnuts are a great source of omega-3, which helps balance moods and calm the nerves and make a great bedtime snack. Kids can make a shake by putting in the blender: 2 tablespoons chopped walnuts, three chopped dates, a banana, and 6 ounces of coconut yogurt and blend until smooth. Kids can also make an herbal tea before bed with chamomile flowers, passionflower, and valerian root, which encourage deep sleep and sweet dreams.